I’m not sure why I did not win.I ___________ have been more aggressive at the start (option in past). A lot of people get confused while using should/could/would with ‘have + past participle verb’. 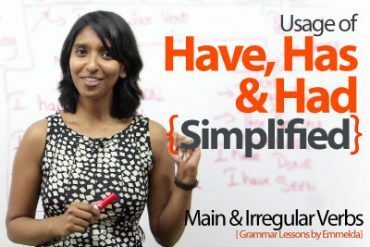 In this lesson, you will understand the difference between three sentence structures and when to use them appropriately. 2. I could have completed my graduation : (‘could’ is used to express a past possibility, or an option you had in the past). 3. I would have completed my graduation : (‘would’ is used to express that you do or don’t do something due to circumstances and is used in past conditionals). If I had gone to the beach, I would have gotten a tan. (it’s an imaginary of something in the past). 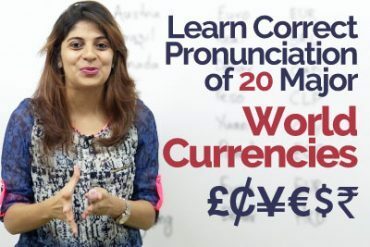 How to speak English Clearly and Fluently? 8 Tips to reduce English Conversation Fillers. can you please explain the difference of had and did. I have seen and heard most of the time usage of had and did in same places.Can you please educate me on this. THANK YOU VERY MUCH….ITS VERY USEFUL…..
thank you very much for nice presentation of lesson. Rachna, Really wonderful , the way of teaching/explaining. And the most likened one is, the follow up Test to check our performance. Please do that after every lesson. Good lesson and examples ,presentation also good. I thank God, who brought your videos in-front of me and i spent 5 hour approximately watching and learning from them and I m also very thankful to all you people and appreciate your work, i m from Pakistan, conflicts should be on their own place and good performance should be encouraged, all of u are my teacher and i m really sure teachers don’t have any hatred for their pupils. In-fact i m also a teacher and i really want to improve my English. And think you people would be very helpful for this poor student SHAKEEL (from Lahore). If I could have done something, that’s because now I can do it. If I should have done something, that’s because now i must do it or I have to do it. If I would have done something, then I will do it because I will be able to. thank you for lighting to my thoughts.